Ringing in the New Year with the entire family rarely means partying past midnight. For a kid-friendly celebration, there are still several great choices for New Year's Eve parties that are appropriate for children in Minneapolis, St. Paul, and places around the Twin Cities. Como Zoo has one of the Twin Cities' most popular New Year's Eve celebrations. Dubbed "Noon Year's Eve," the countdown that has been swapped from midnight to midday, and the event has a beach ball drop at 12:00 p.m., music, art projects, and storytimes. Noon Year's Eve is so crowd-pleasing that Como Zoo is doing it twice: You can attend the Noon Year's Eve celebrations on December 31st and January 1st. And the price can't be beat—admission is free, although donations are accepted. The Children's Museum in St. Paul is open after hours to ring in the new year. The Sparkle-Rama party boasts live music, a sparkly hat craft projects, snacks, and playing at the museum. The event kicks off on December 31st at 6 p.m. and runs until 9 p.m. with an 8 p.m. beach ball drop. Admission is $10.00 per member and $14.00 per non-member, which includes a snack and free parking. Edinborough Park, the indoor playground in Edina, hosts their annual Pre-New Year’s Eve Party on December 31st. 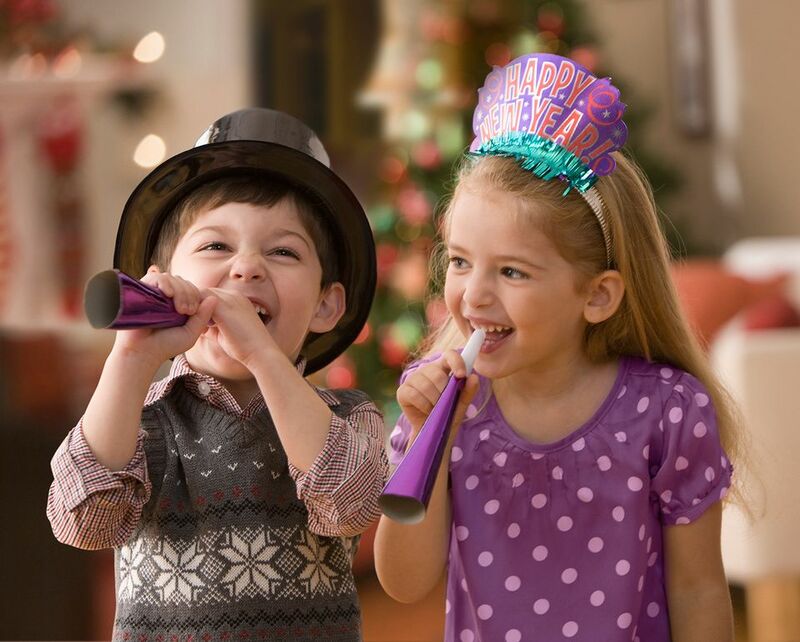 The party starts at 5 p.m. until 9 p.m., with a Kidsdance DJ dance party, a countdown at 8 p.m., face painting, and climbing in the indoor playground. Child tickets are $10.50 per pre-registered kid through December 27, and $11.50 on the day of the event. Adult admission is free. The park will shutter at 4 p.m. to prep for the event. The city of Woodbury hosts a family-friendly celebration at the Bielenberg Sports Center. To keep the kids occupied there are games, moonwalks, slides, an obstacle course, mini-golf, bingo, open ice skating, Woodbury Skating Club exhibition, and music. There's a countdown to the new year at 8.30 p.m., preceded by a door prize drawing. Tickets are $10.00 per person in advance, $12.00 at the door, and the organizers recommend advance purchase since the event often sells out. Children under the age of 3 are free. Here's another opportunity for skating, this time in Roseville. Skate in the new year at Roseville's 110,000 square-foot indoor and outdoor rinks, jump on a bouncer, get your face painted, and enjoy a magic show. The event starts at 2.30 p.m. until 10 p.m., and there will be a countdown at 9.30 p.m. Admission is $7.00 with skate rentals for $5.00. Candlelight and Ice is Wood Lake Nature Center's annual event that keeps the action outside. Participants walk a candlelit trail through the woods while keeping an eye out for deer and other wildlife animals and then warm up with hot cocoa, roasted marshmallows, games and stories at the nature center. The stroll starts at 5 p.m. until 9 p.m., $5.00 per person or free for Wood Lake members. Dakota County celebrates New Year at Lebanon Hills Regional Park with a slew of outdoor activities. Ride down on the sledding hill, go candlelit hiking or snowshoeing all in the glow of 1000 luminaries. Join the countdown at 7:59 p.m. and tickets are $5.00 per person. If the forecast advises the temperature will be under zero degrees or the wind chill under 10 degrees, the event will be canceled.